We strongly suggest rugs and runners where possible. But for those hazardous high slip regions we suggest clear colourless anti-slip tape. 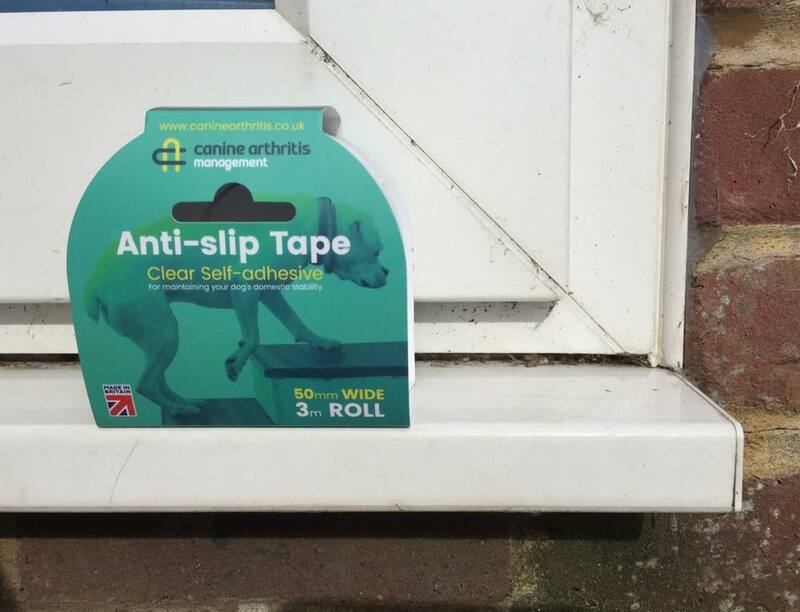 We are encouraging vet practices, physiotherapists, hydrotherapists and rehab centres to stock this product to ensure the conversation about home management is addressed. We have found that you need to get the owner thinking differently when it comes to home care. Their dog has coped with their house for 10-12 years. Why would they struggle now? Starting the thought process to house adaptions is essential for long term management!! Contact daisy@caninearthritis.co.uk for more details.